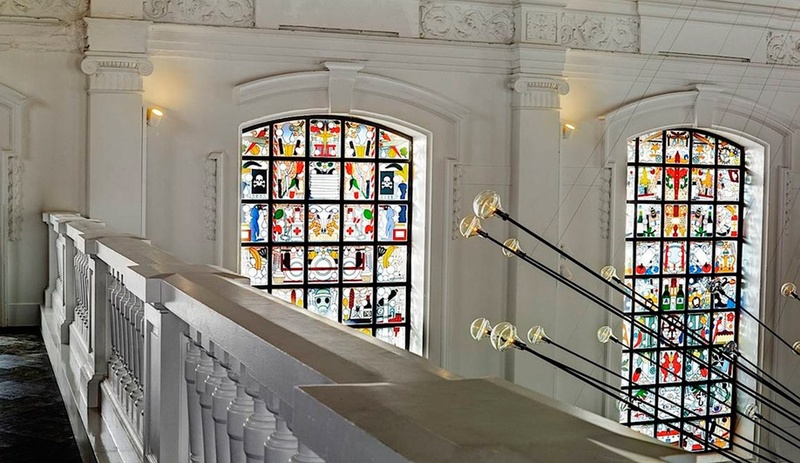 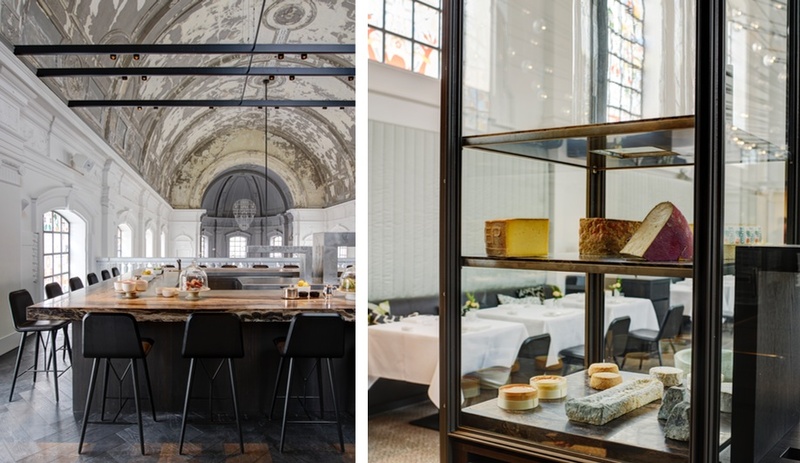 Studio Piet Boon has accentuated the original features of a former military chapel in Antwerp with custom touches that create an intimate, timeless dining atmosphere. 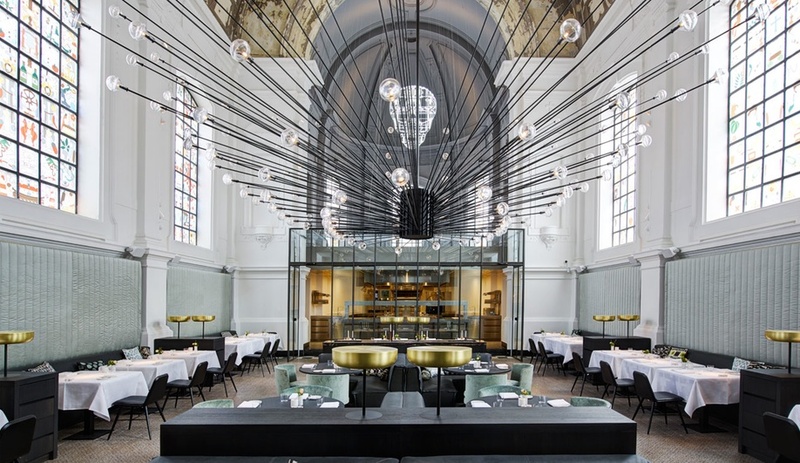 The renovation of the disused military chapel began nearly three years ago, when Michelin-star chef Sergio Herman and chef Nick Bril approached Piet Boon with a vision for “fine dining meets rock ‘n roll.” The result is reflective of Boon’s appreciation for materials that age gracefully, highlighting many of the existing textures the space contained with insertions of glass, stone, leather and oak. 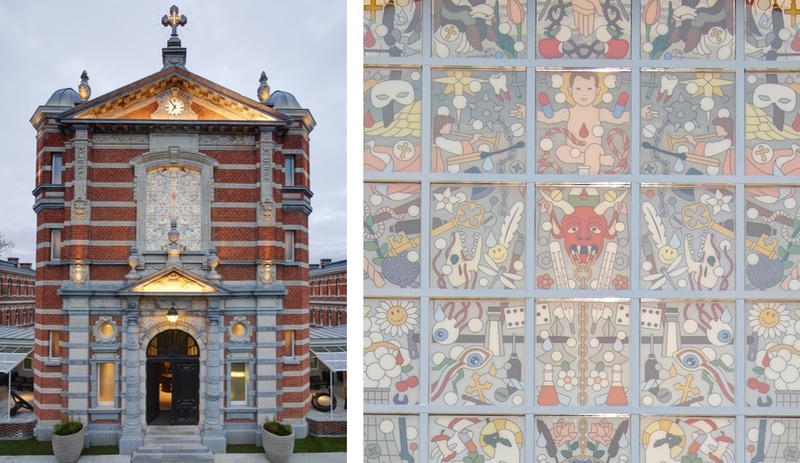 From the exterior, the structure looks unchanged, at first glance, but closer inspection reveals that the typical stained-glass windows have been replaced by 500 unique panels designed by Job Smeets and Nynke Tynagel of Studio Job; instead of Biblical scenes, the windows portray an equally colourful assortment of flowers, skulls, penguins, trophies, and other playful icons from the Studio Job library. 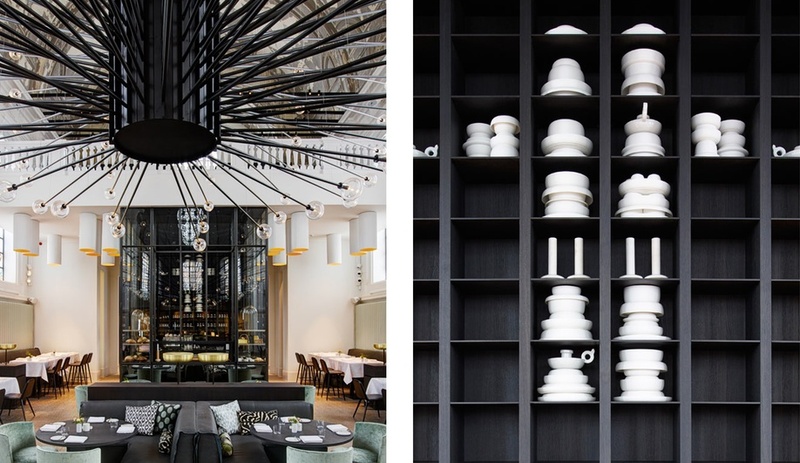 Inside, Piet Boon Studio ultimately changed only what was necessary, leaving the ornate barrel ceiling untouched, even the faded paint – striking a note of authenticity that acts as a basis for the studio’s insertions of contemporary style. 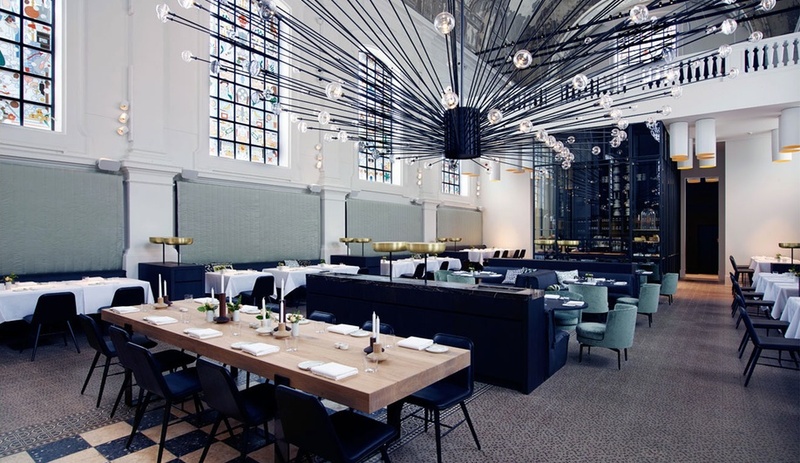 The kitchen, for example, was placed on the site of the former altar, encased in a glass cube that allows diners to watch as their victuals are prepared. 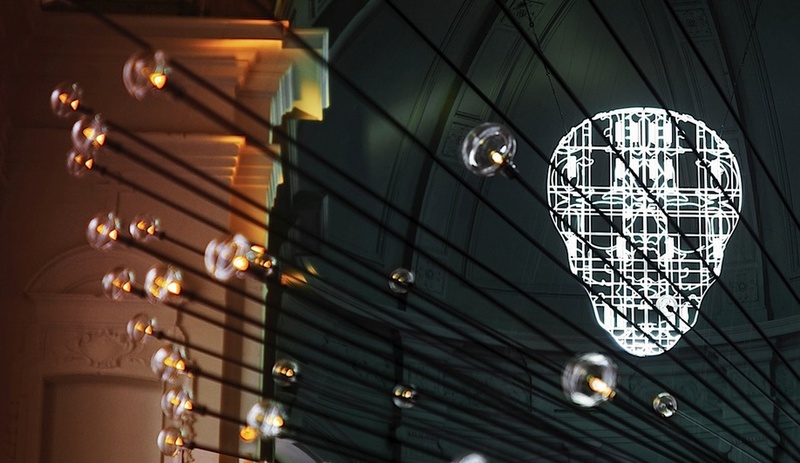 Overhead, a neon skull ornamented with bits of typography floats in midair, as if supervising the proceedings below. 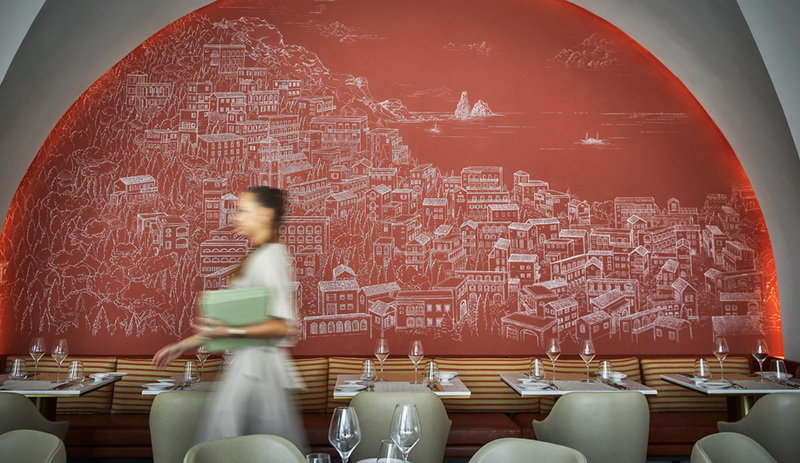 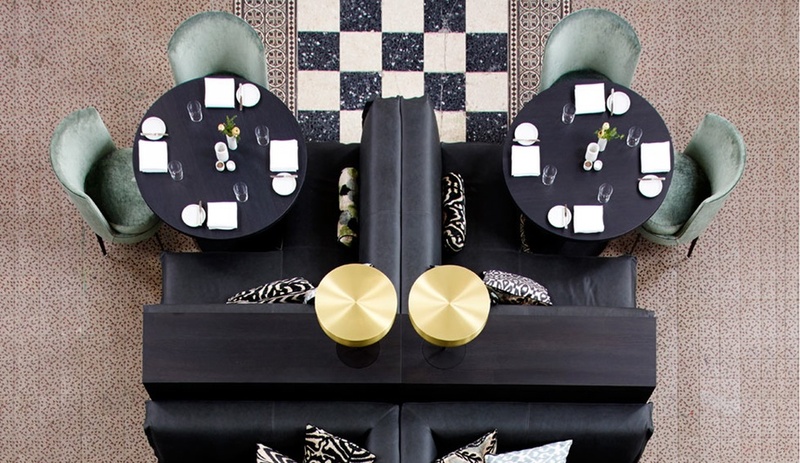 Where the diners interact directly with the space – the chairs, banquettes, tables, and even the floor – the studio has used a material palette that blends textured fabric and leather upholstery with patterned tile flooring on the main floor and wide-plank herringbone on the balcony seating area. 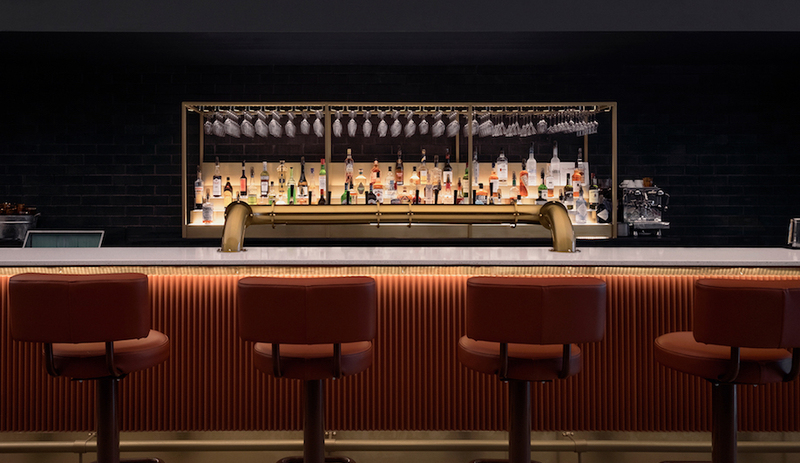 The tabletops are heavy throughout, from the stained wood or natural oak dining tables to the massive slabs of polished brown stone that top the upstairs bar. 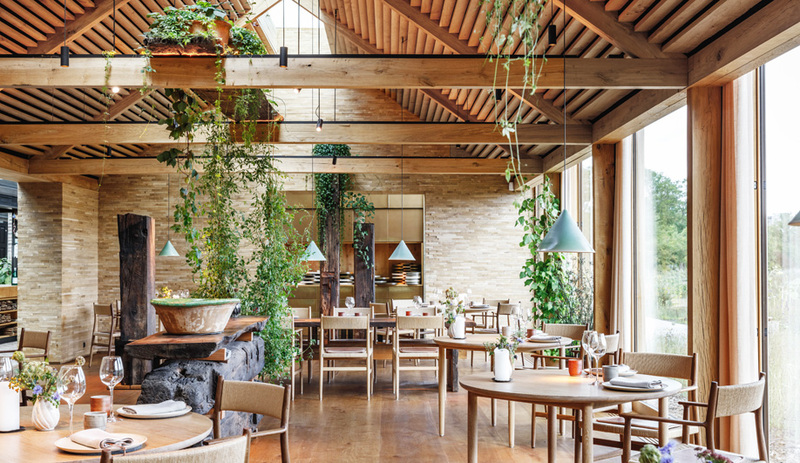 Perhaps the most striking intervention is the massive chandelier that dominated the airspace of the ground floor, and extends its branches throughout the dining room. 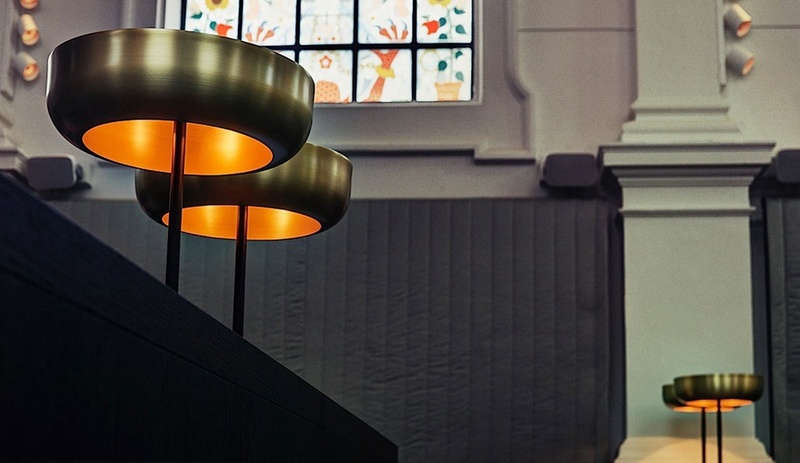 Designed by Beirut’s .PSLAB, the 800 kilogram chandelier comprises over 150 lights, extending over an area more than 100 square metres in size. 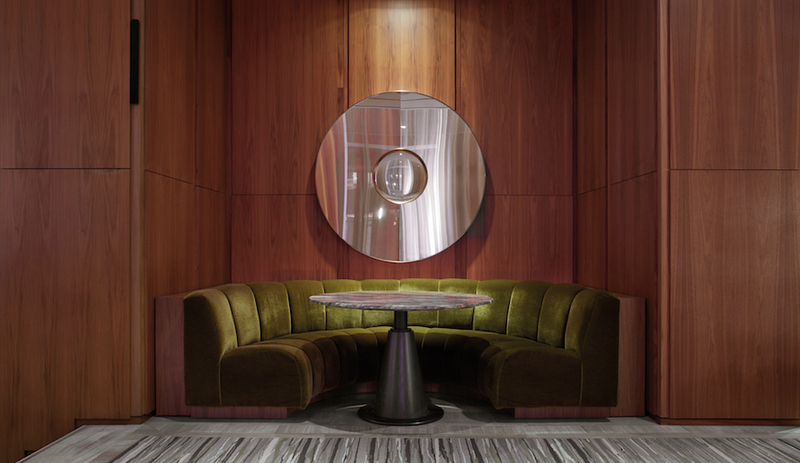 It’s simultaneously imposing and intimate; although operating on a grand scale, the individual points of light seem to draw the room together.